After reading the description for the new Young Adult novel IMPERFECT SPIRAL by Debbie Levy, I had a feeling that it was going to be a pretty powerful story. It seemed like this book touched upon so many important, and yet relevant, issues including grief, guilt, friendship, immigration, and self-discovery. Little did I realize just how complex this novel would be. IMPERFECT SPIRAL tells the story of Danielle, a teenage girl who is babysitting five year old Humphrey when he is run down by a car and killed. It really is a babysitter's worst nightmare to have a child under her care die, but it's even more difficult for Danielle because of the controversy that follows the accident. The driver of the car was an undocumented alien and many of the neighborhood's inhabitants were outraged. Danielle tries to deal with the loss the best she can; however, she ends up staying away from everyone... including her best friends. When Danielle meets Justin at the park, she finally feels like she has someone who understands what she's been through. This new-found friendship is just what Danielle needs to deal with her grief and guilt as well as help her to stand up for what she believes in. 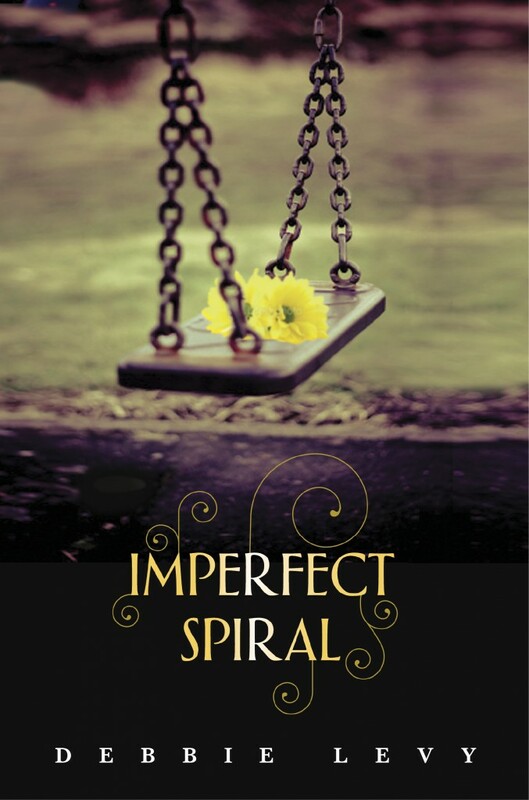 I was quite impressed with IMPERFECT SPIRAL and think it's a terrific young adult book. In fact, I immediately handed it to my 14 year old daughter and recommended that she read it. Not only is it an interesting story, but it is one that causes the reader to truly think about a lot of things. (And I always think that if a book can make you think, it's a special one.) However, I also wanted her to read it for a more selfish reason -- I thought it was a terrific book for discussion and I wanted to hear her views on a few of the issues! There is no doubt that IMPERFECT SPIRAL covers a lot of ground. Honestly, a book about a teenage girl who is dealing with guilt and grief after the death of a child under her care would be more than enough to make an intriguing story. However, Ms. Levy also chose to deal with friendship problems as well as the very controversial topic of undocumented (or illegal) immigration. And that wasn't all, the character of Danielle also learned a heck of a lot about herself; so in many ways, IMPERFECT SPIRAL was also a coming-of-age story. I commend her effort to tackle some very serious issues, and for the most part, I think she did an excellent job especially when it pertained to showing both sides of some difficult issues. I'm not sure this is a complaint about IMPERFECT SPIRAL, but there were times when I thought Ms. Levy tried to accomplish too much with this story. There were just so many issues that caused me to think. I felt a few times as if my brain might explode. However, the more I've let this story percolate in my brain, the more I've realized just how well she pulled everything together. All of the issues belonged in this story and were definitely related to each other. I've already mentioned that IMPERFECT SPIRAL brings up a lot of issues about immigration. I actually don't know how many teens know much (if anything) about this subject matter. Ms. Levy might have wondered the same thing because she has listed some great resources on her website about this very issue. Furthermore, she has included a playlist for the book that some readers will enjoy. I loved that IMPERFECT SPIRAL made me think and that it will make teen readers think about some very important issues. This book is a terrific example of what I love about YA books and I look forward to Ms. Levy's next book. It does sound like there is a lot going on here, but when you think about it, when something tragic like this happens, it is rarely one dimensional. There are ripples and complications. The trick is that the author is able to pull it all together. This sounds like an excellent, thought provoking book. I cannot imagine going through what Danielle did. I picked this up from the author at her reading with Beth Kephart in Virginia. I cannot wait to read it. This book sounds interesting to me, though I don't read much YA, because it sounds like it has a lot going for it, not another teen romance. I think kids should find out more about topics that could affect them (someone could have a kid in their class who has to leave the country with a parent who is undocumented). It could happen, and kids should be introduced to current news in a way they can handle it. Thanks for a good review.